Let's face it - some days by lunchtime, we're about ready to go back to bed. Need a bit of oomph? 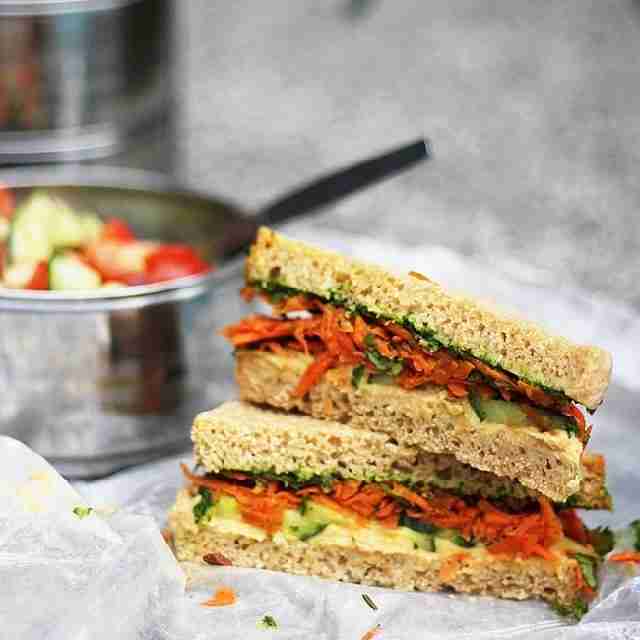 Try chomping into one of these sprightly sandwiches to get you through the day. Or at least through the next few hours. By 4 p.m. nothing can save you but cute kitten videos. 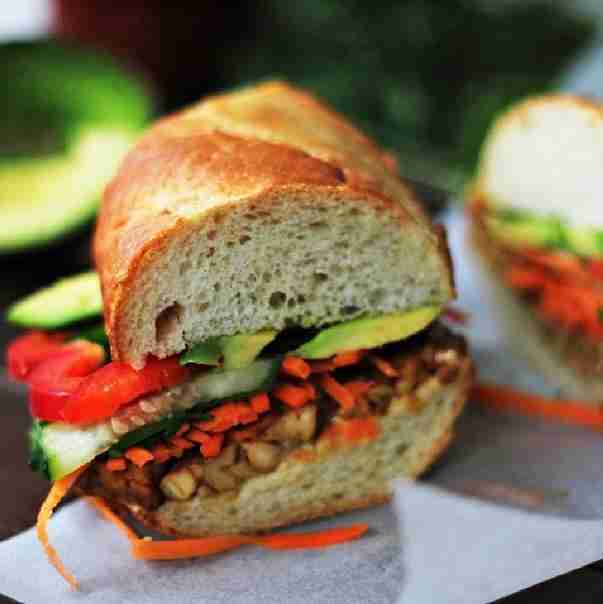 Veggie banh mi with avocado, shredded carrots, cucumber, red pepper and peanuts. Get the recipe here. 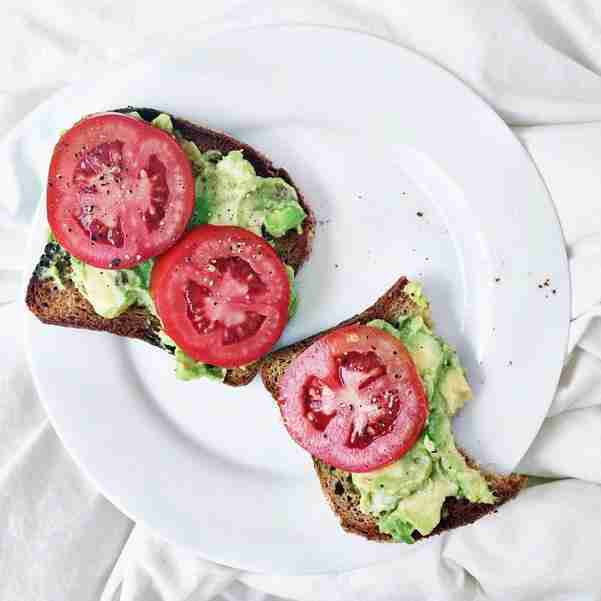 Simple and delicious: avocado with lime and chili flakes on gluten-free toast with sliced tomato on top. Don't forget a sprinkle of salt and pepper! 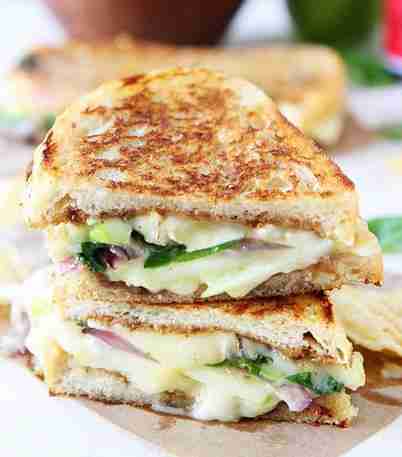 This brie, fig and apple grilled cheese looks melt-licious, but it might put you in a cheesy coma. Get the recipe here. These are mini veggie sandwiches with pesto, baby spinach, roasted red peppers, sweet potatoes, mozzarella, greens and Greek yogurt on pretzel bread, pressed until they're warm and grilled. 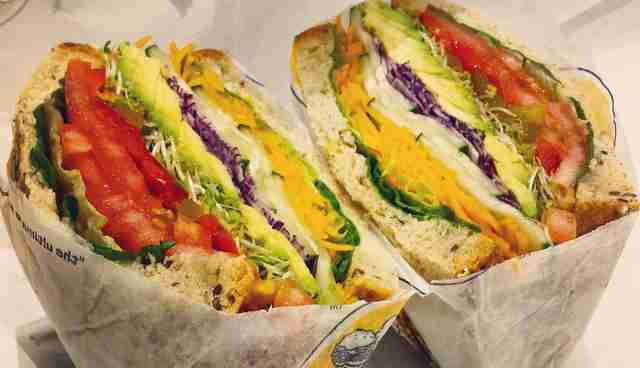 No grill necessary! 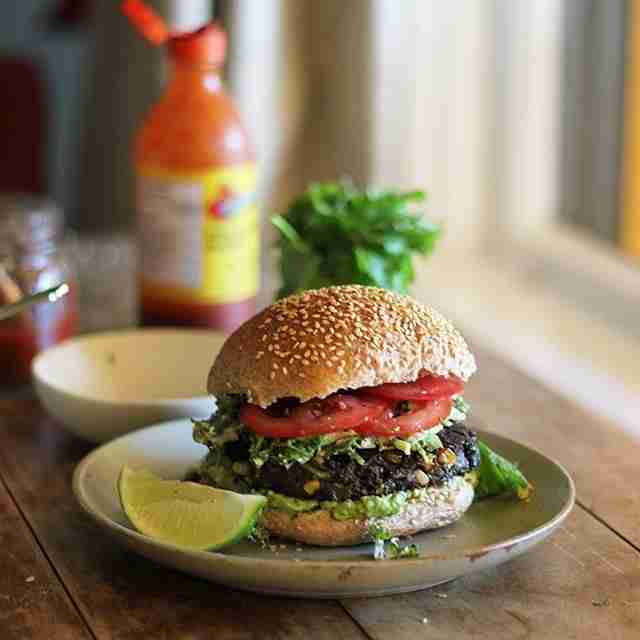 Black bean burger with avocado and lime coleslaw. Get the recipe here. 6. 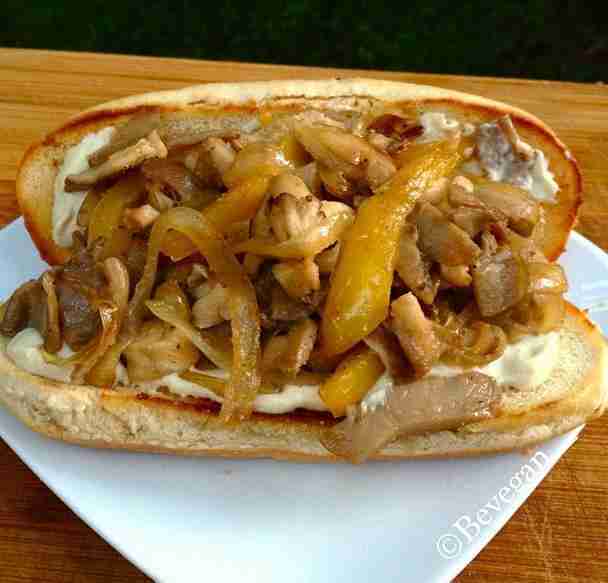 Your first food coma wasn't strong enough: Vegan "cheesesteak"
Vegan Philly "cheesesteak," made with two different types of sautéed mushrooms along with classic onions and peppers. Make it yourself here. Put a bow on it! 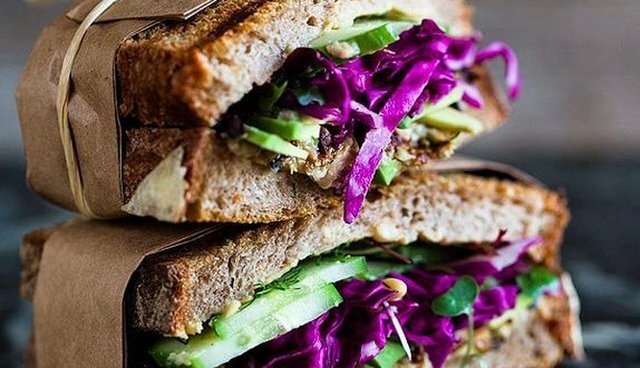 Hummus, eggplant, cabbage, cucumbers and greens on whole wheat bread. That's a wrap! 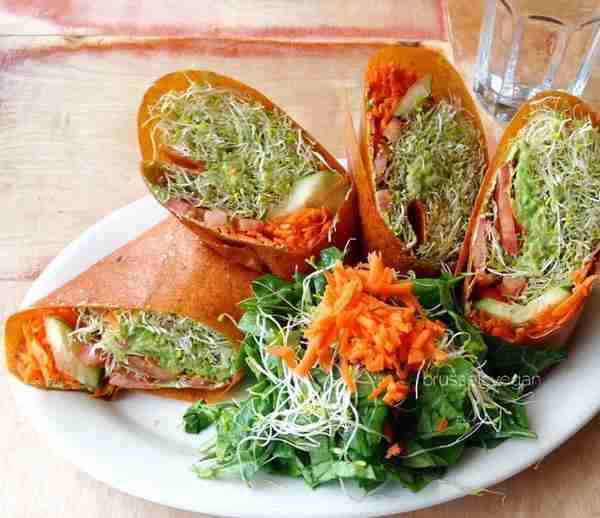 These babies are stuffed with sprouts, carrots, tomatoes, cucumbers and guacamole. 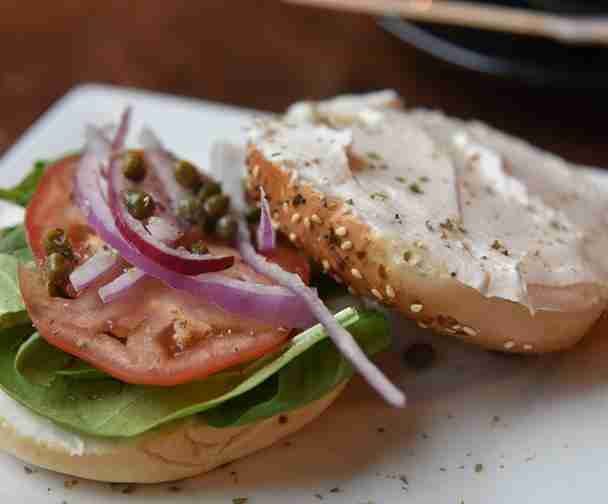 You can't go wrong with a bagel! 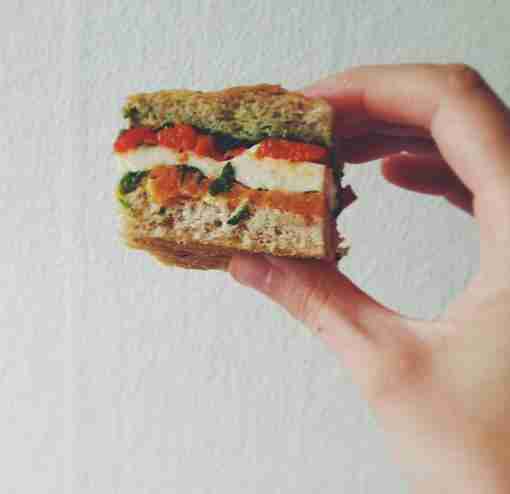 This one has vegan cream cheese, spinach, red onion, capers and tomato. A little more sophisticated than when you ate in in grade school. 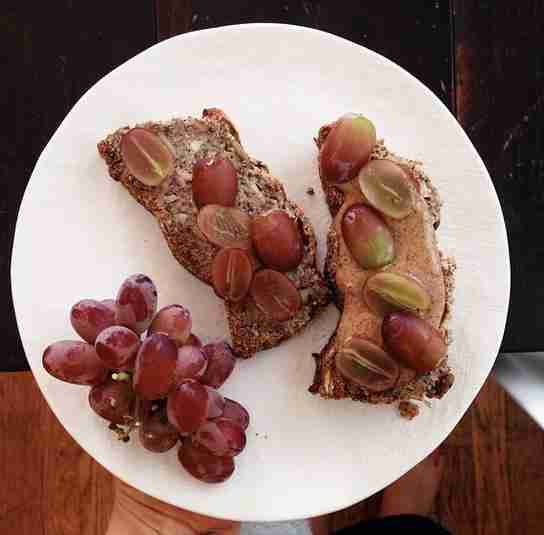 How about some toasted nut bread, almond butter and halved grapes instead of jelly? Check out those colors! 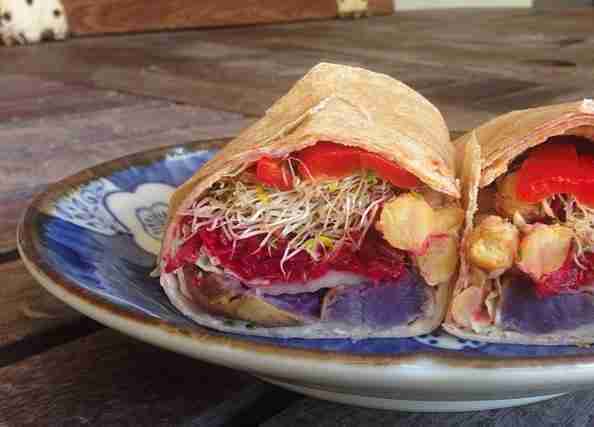 This wrap has purple yams, red peppers, chickpeas and sprouts. Get the recipe here. 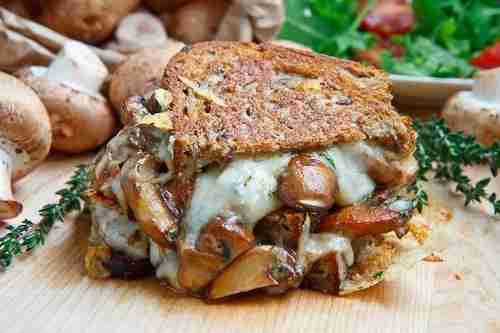 Creamy grilled cheese with mushrooms and gruyere. You can add some truffle oil if you're feeling fancy. 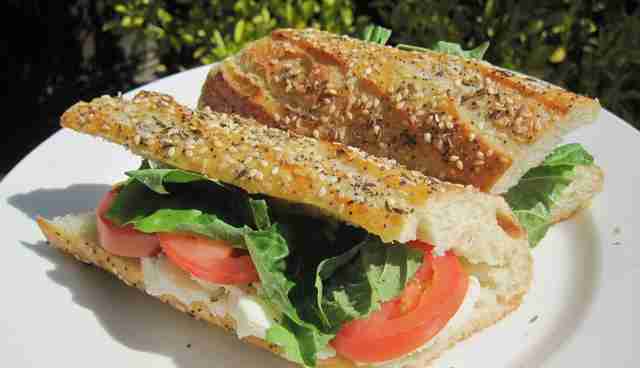 Italian-inspired Caprese sandwich with tomatoes, fresh basil and mozzarella. Sprinkle a little balsamic for extra flavor. 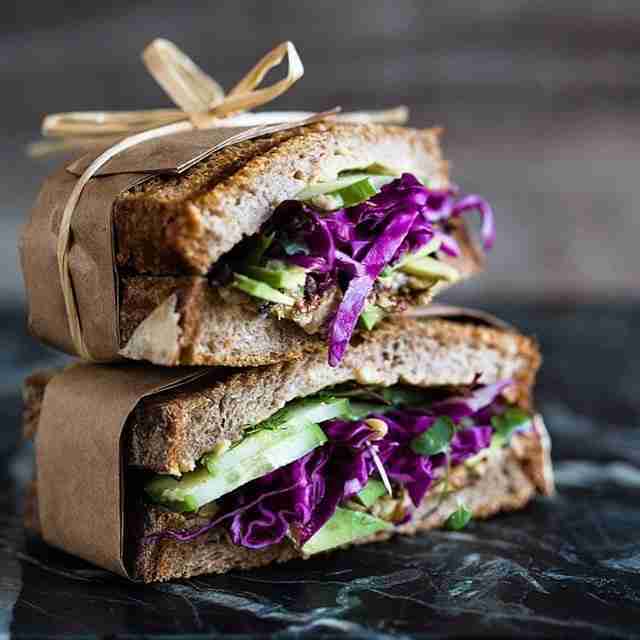 This sammy is stacked with avocado, lettuce, tomato, sprouts, red cabbage, carrots and cukes. 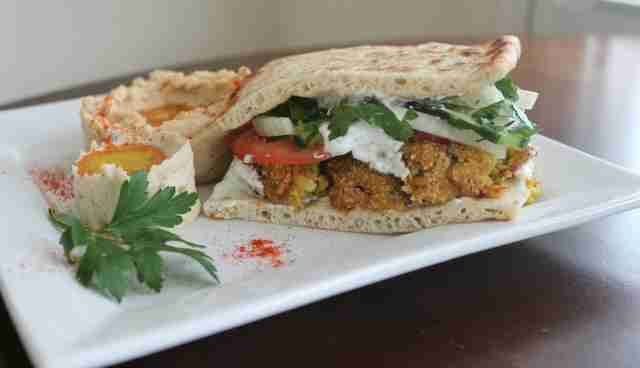 Crispy falafel with hummus, tahini, fresh parsley, cucumber and tomato. 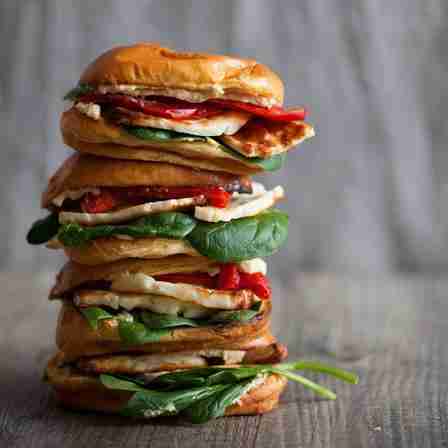 These are halloumi, spinach and hummus sandwiches on toasted brioche buns. Stack them on top of each other for Jenga sandwich excitement. Make them yourself here. 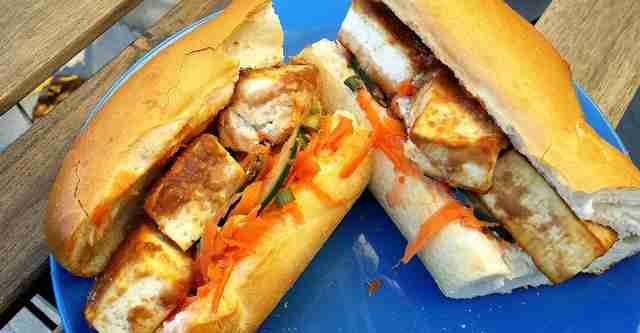 Soy-garlic tofu sandwich with sriracha mayo, carrots, cucumbers and cilantro. 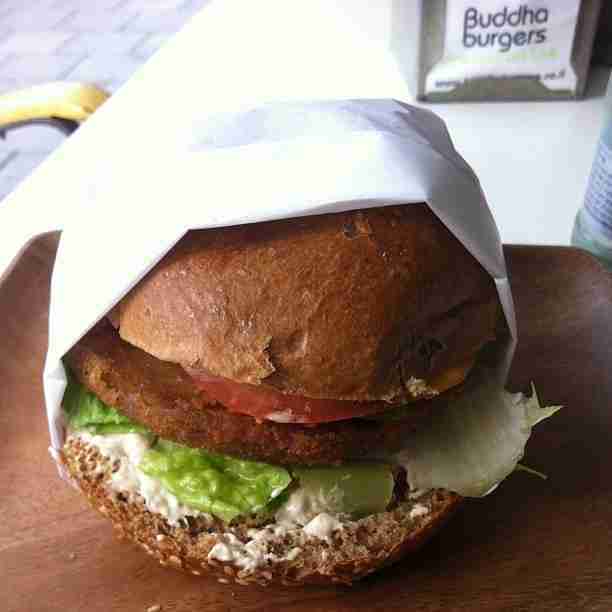 Fried seitan with pickles, vegan cheese spread, lettuce and tomato. Parsley pesto, hummus, olives, carrots and cucumbers. Make the whole Greek-inspired picnic lunch here. 20. You're quitting: Dessert sandwich! 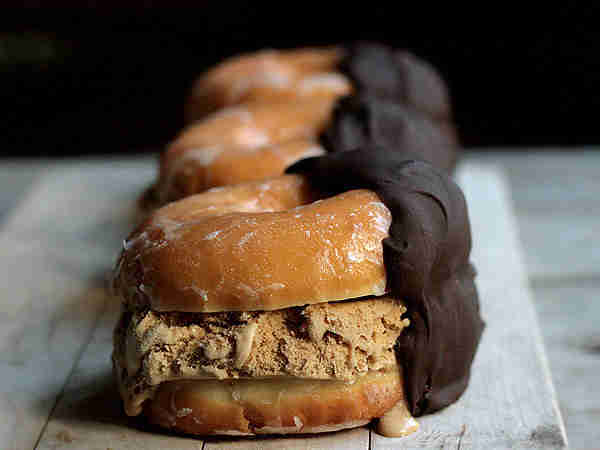 This is coffee ice cream between two donuts. Dipped in chocolate.